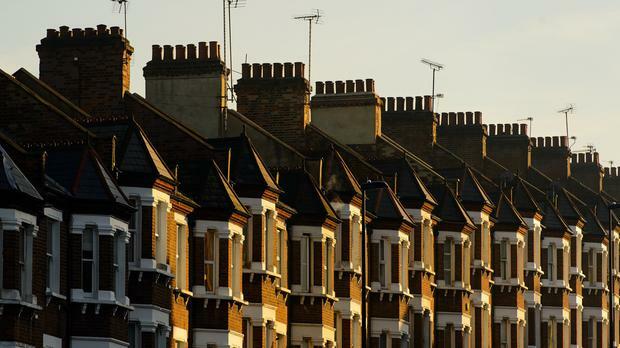 Fewer than 20 local authority loans aimed at helping first-time buyers get on the property ladder were drawn down in the cities during the first half of this year. Figures from the Department of Housing show that between January and June this year, just 19 local authority-backed mortgages were drawn down in the high-­demand areas of Dublin, Cork and Galway. There are major concerns the upper loan limit is not sufficient to secure a property in city areas. In nine council areas - including Cork city, Dún Laoghaire-Rathdown and Galway city - not one mortgage offer has been taken up. The Rebuilding Ireland Home Loan is a low-interest, Government-backed mortgage for first-time buyers, launched last February. The maximum amount which can be borrowed is €320,000 in Cork, Dublin, Galway, Kildare, Louth, Meath and Wicklow, and €250,000 in the rest of the country. To date, some 1,317 loans have been approved - but figures on local authority loan draw-downs, which include the Rebuilding Ireland product, suggest uptake is low. Overall countrywide, 109 local authority loans aimed at helping first-time buyers get on the property ladder have been drawn down in the first half of year. Sinn Féin housing spokesman Eoin Ó Broin said the scheme needed to be radically overhauled, as just 8pc of approved loans appear to have been drawn down in the first half of the year. "If you look at the high demand areas across the four Dublin local authorities, Galway and Cork, the ratio of approvals to draw-downs is worrying," he said. As of the end of October, some 189 loans had been approved in Dublin City Council but just 13 were drawn down. In Fingal, 185 were approved but just one taken up, while in south Dublin there were 92 approvals and one draw-down. Cork County has 104 loan approvals, but just three drawn down, while Galway County had 36 approved and one drawn down. Counties with no loans taken up include Roscommon, Wicklow, Leitrim, Laois, Donegal and Cavan. "The Rebuilding Ireland Home Loan clearly is not working as intended," Mr Ó Broin added. "There is no point in offering a product to tackle affordability if the loan on offer comes nowhere near to covering the cost of purchasing a home. "At this stage, the Rebuilding Ireland Home Loan is a tokenistic gesture that has done very little to provide affordable homes for people." But the Department of Housing said a "significant time lag" existed between being given approval in principle for a mortgage, and drawing down the funds. "All applicants have a period of six months in which to draw down a loan following receipt of their approval," it said in a statement. It also said that as of the end of October, some 3,309 applications had been made, with 619 deemed invalid and 107 in progress. A total of 1,317 applications, or 51pc of the total valid number assessed, were recommended for approval, it added.